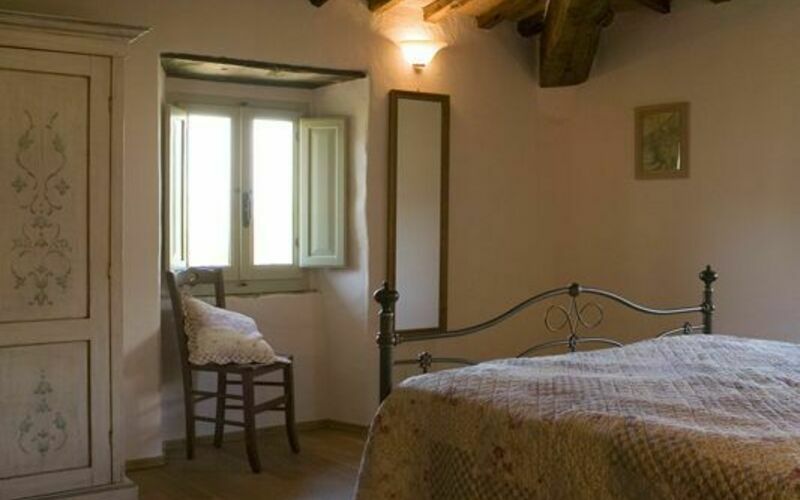 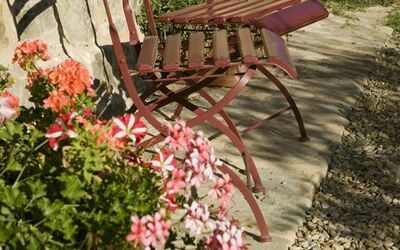 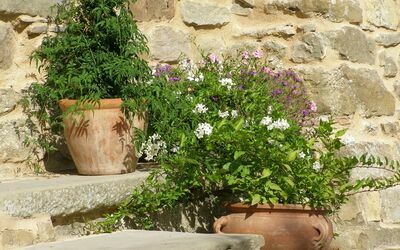 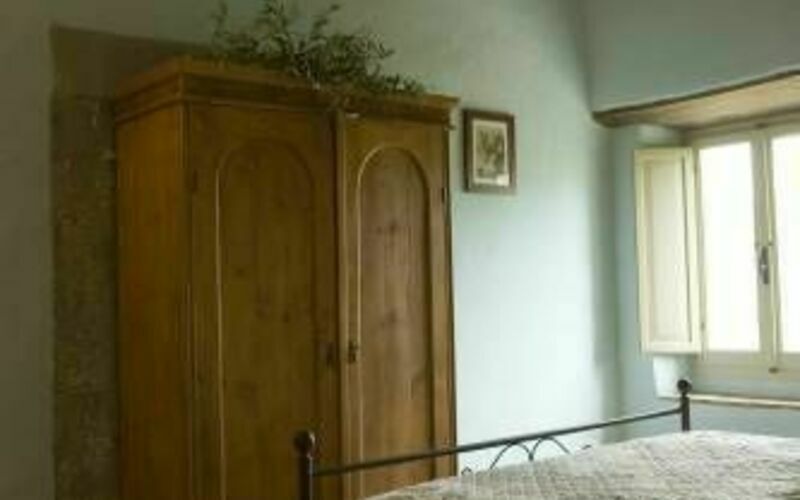 We offer a selection of self-catering apartments for 2 to 6 persons within the farmhouse, lovingly restored in keeping with local traditions. 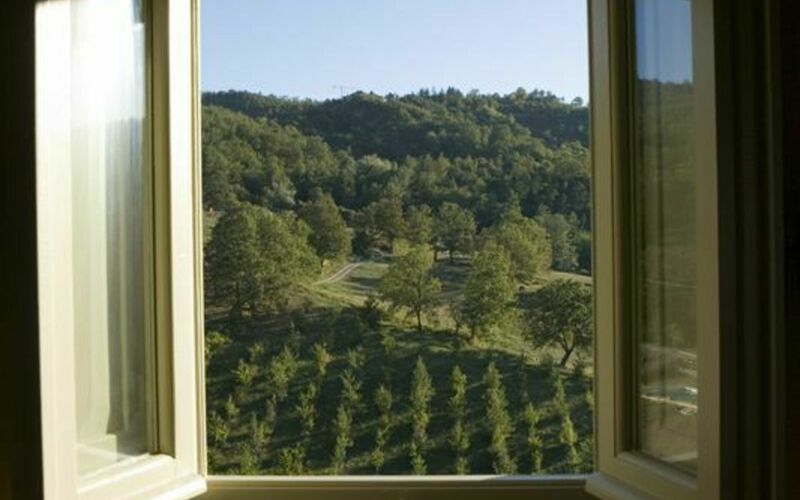 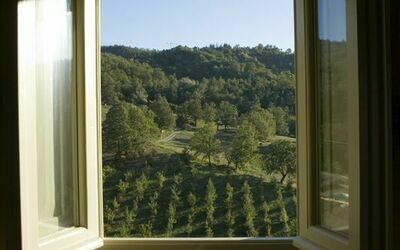 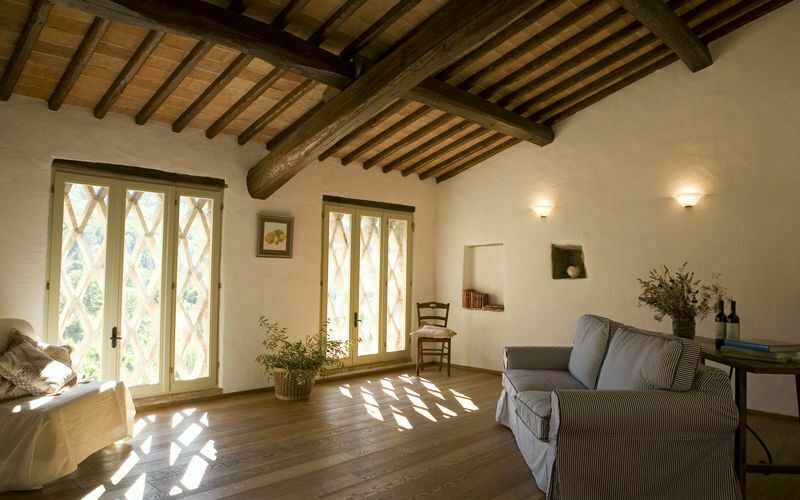 These may be rented out on an individual basis or the whole place can be reserved for families and friends. 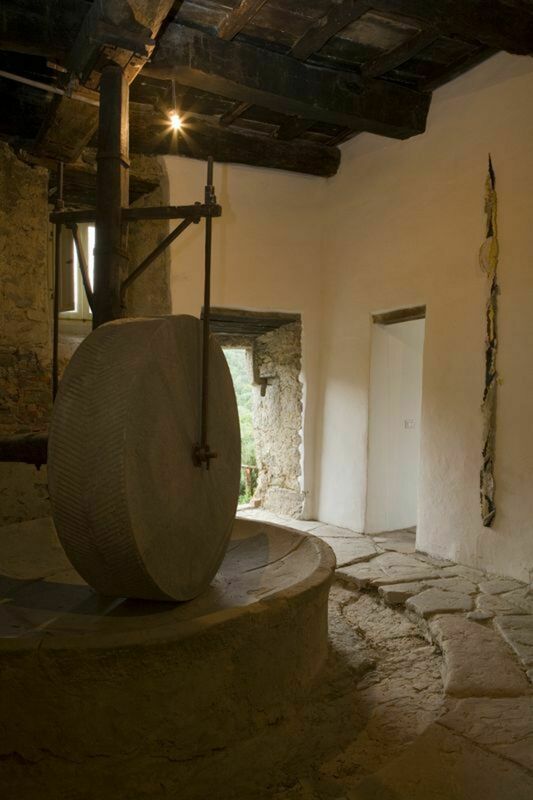 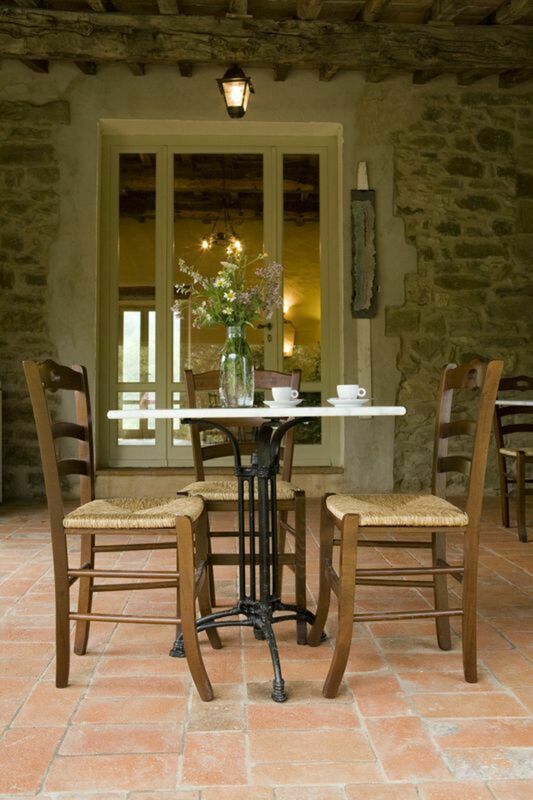 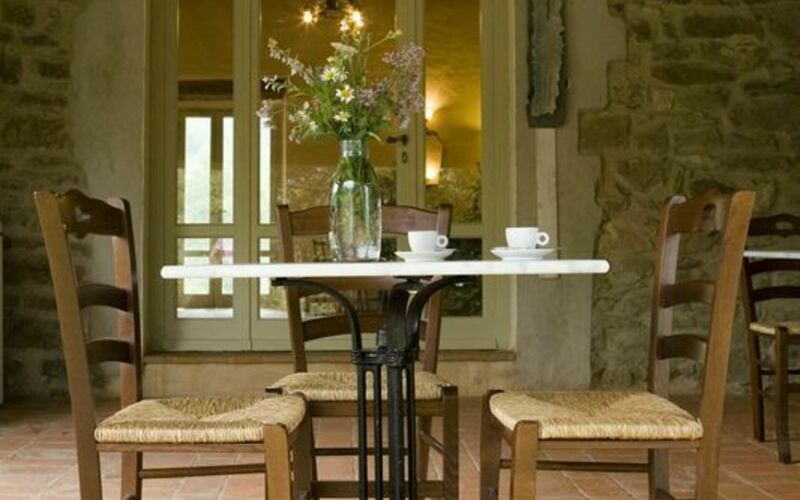 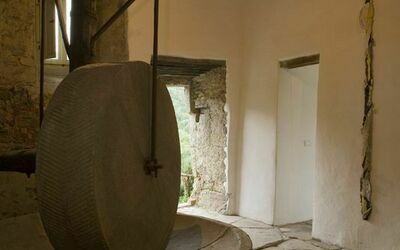 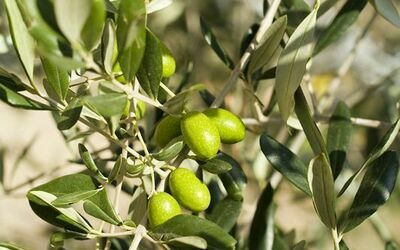 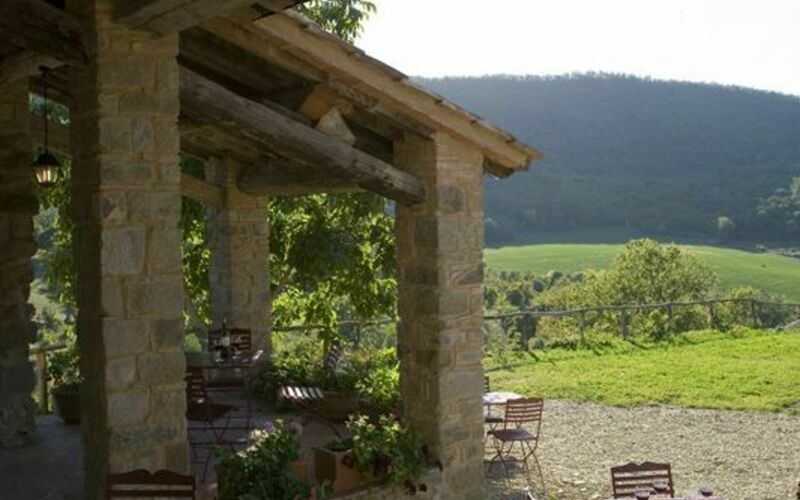 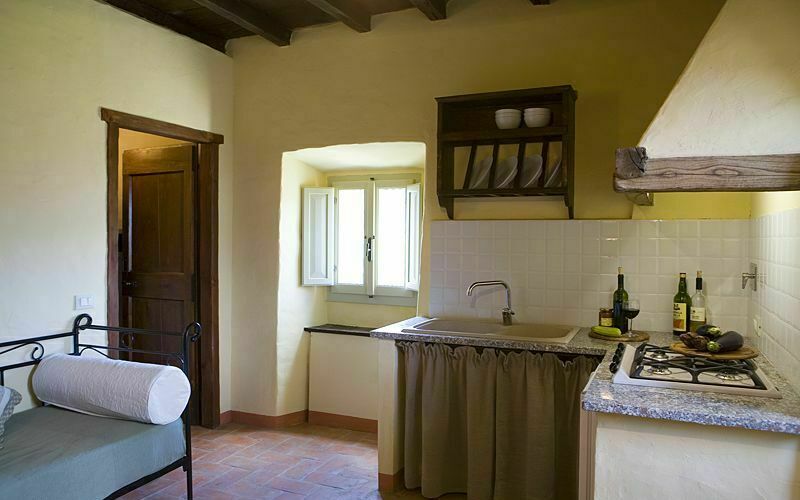 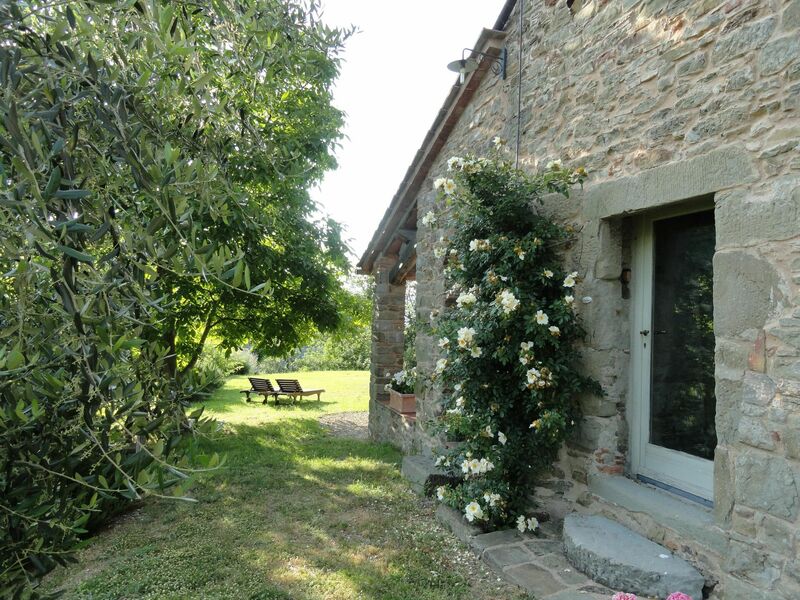 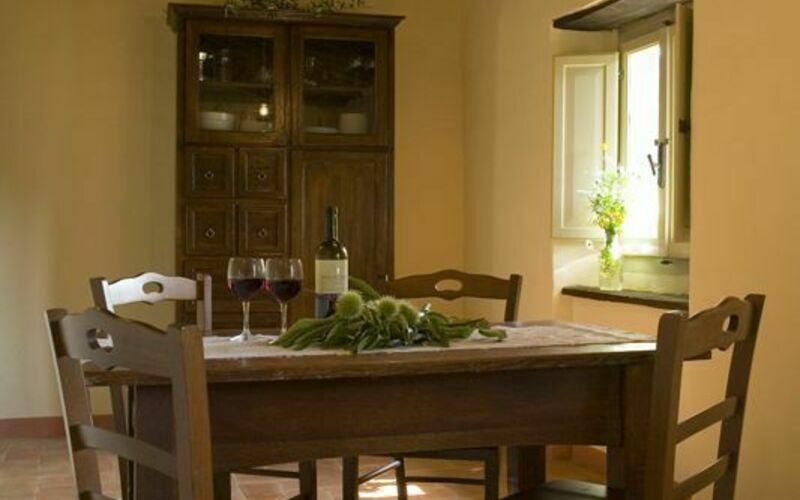 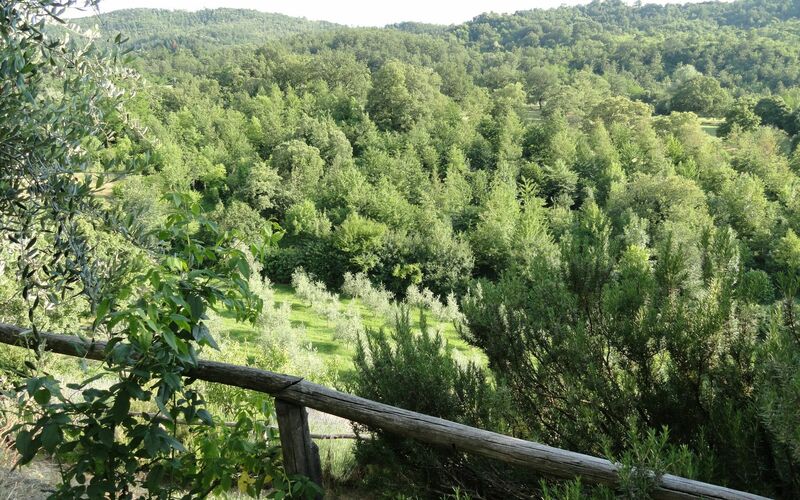 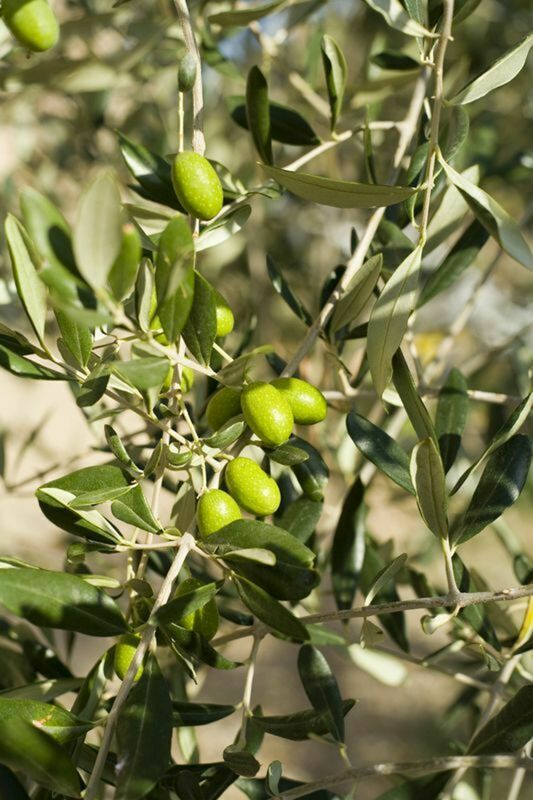 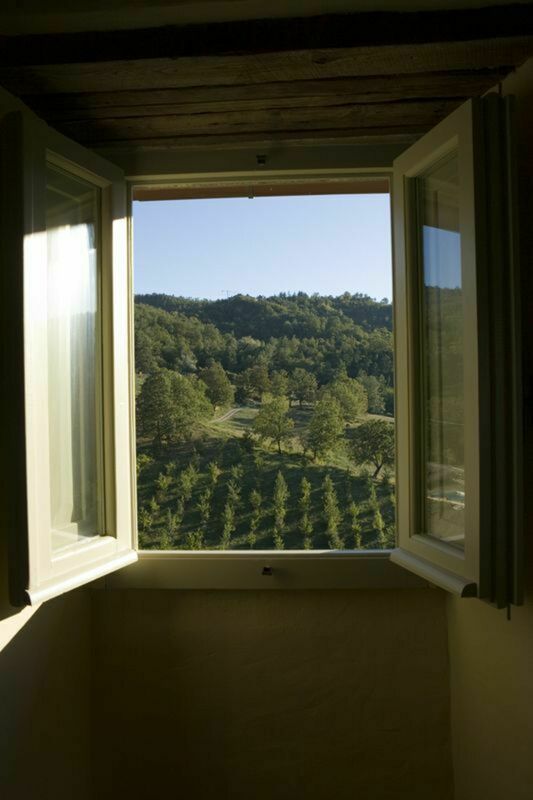 Enjoy an “aperitivo” in the cool of “La Limonaia” or just soak up the atmosphere of our very own olive press where local olive oil, wine and other products are available or for those cooler evenings curl up with a good book and the inevitable glass of Chianti in front of the log fire. 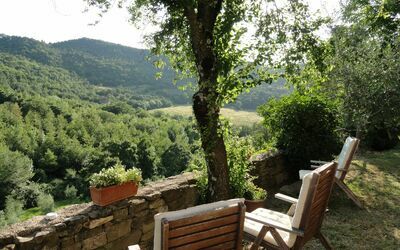 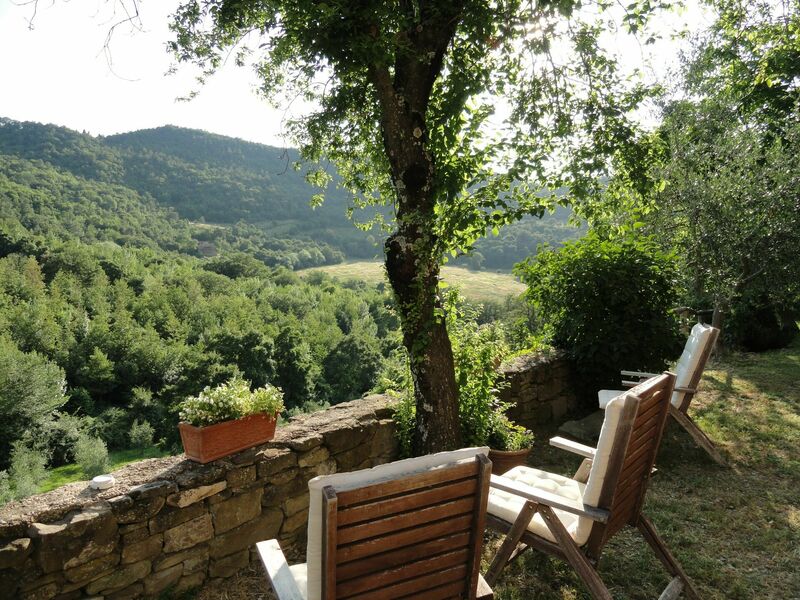 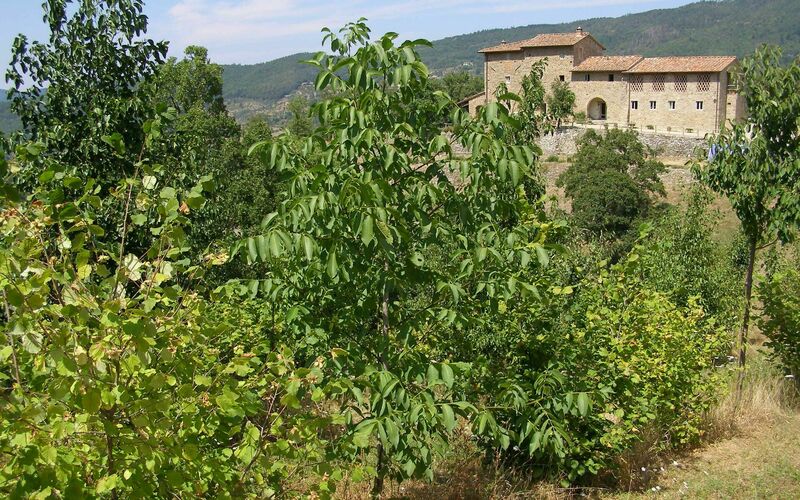 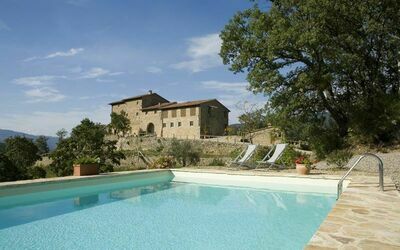 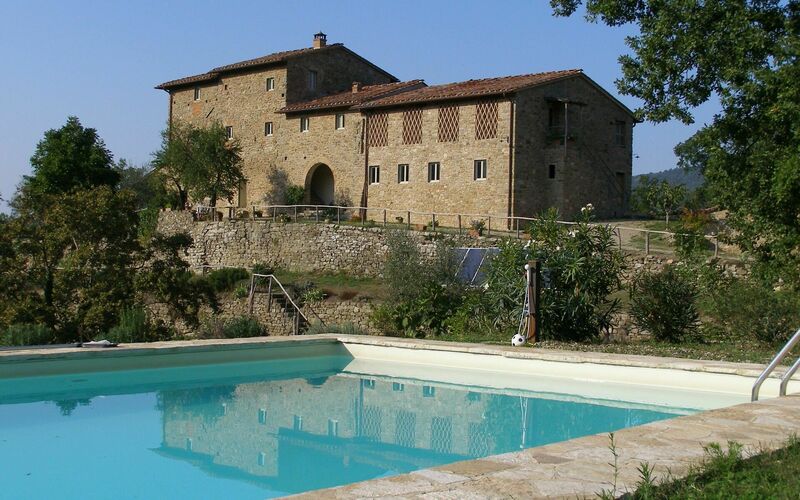 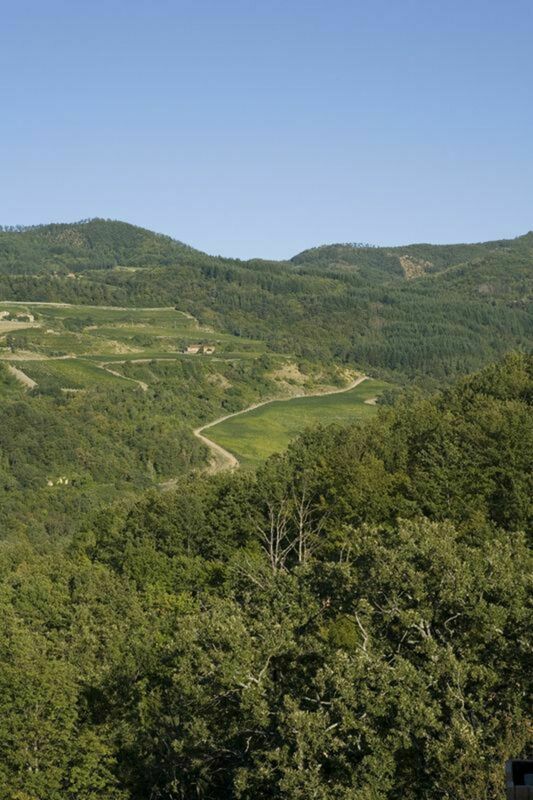 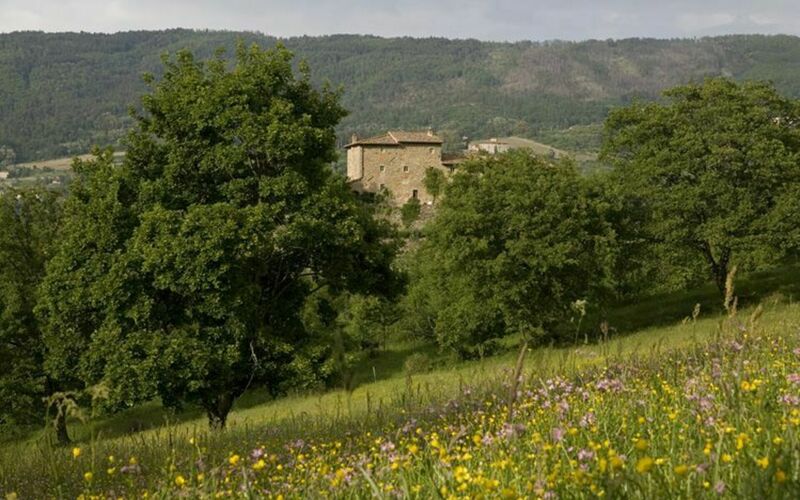 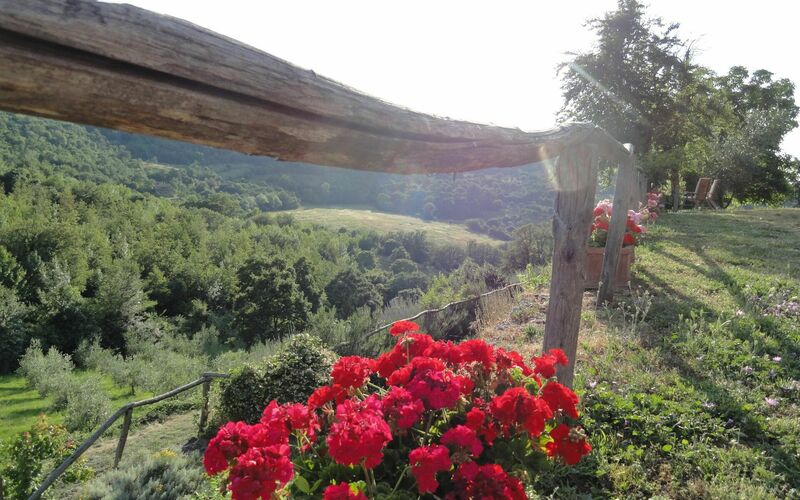 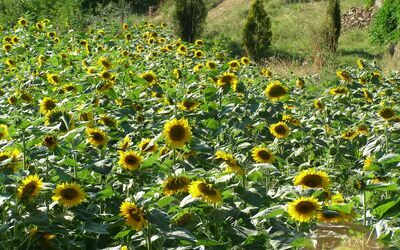 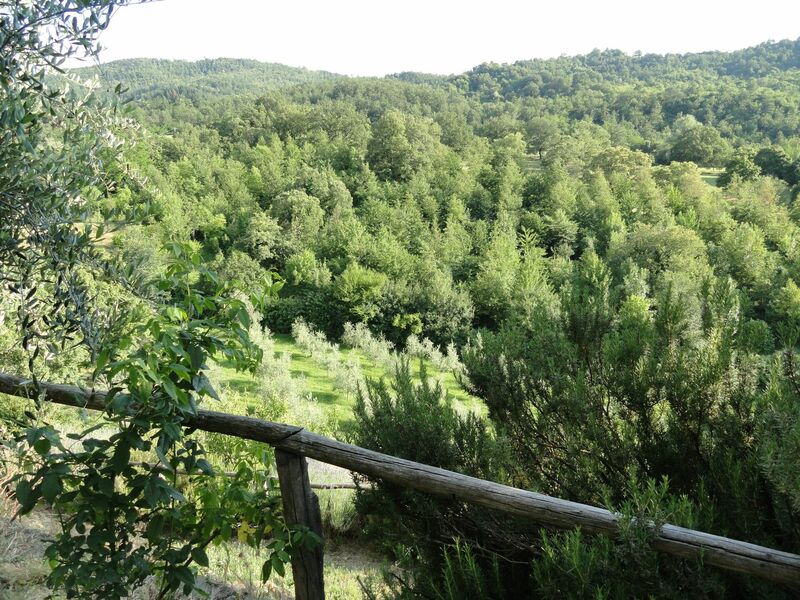 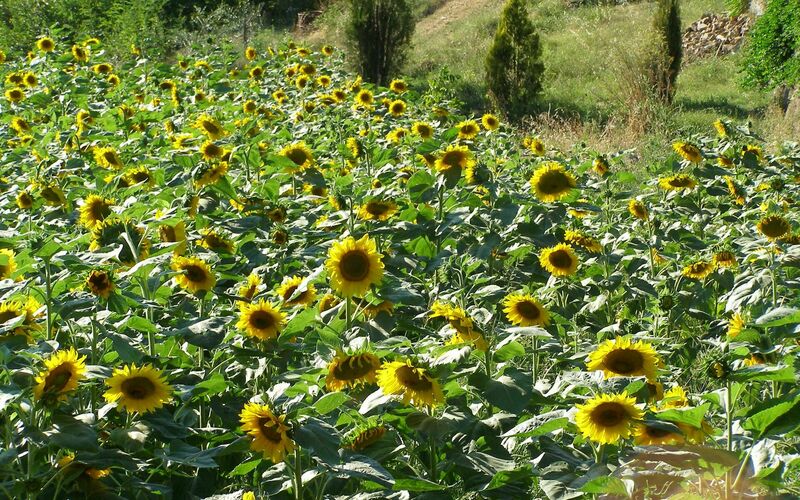 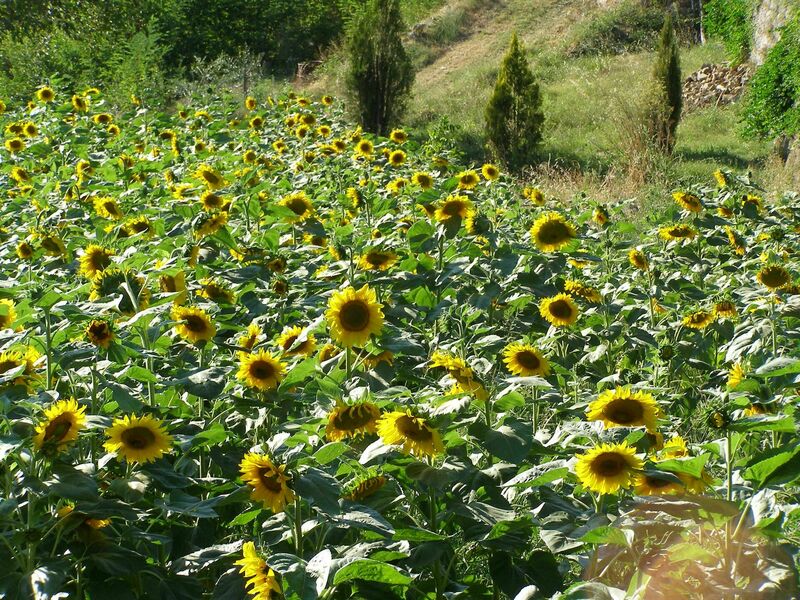 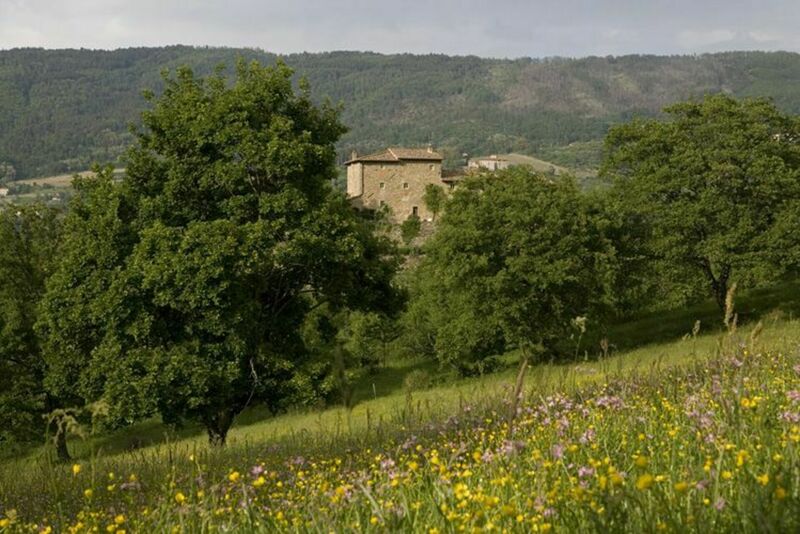 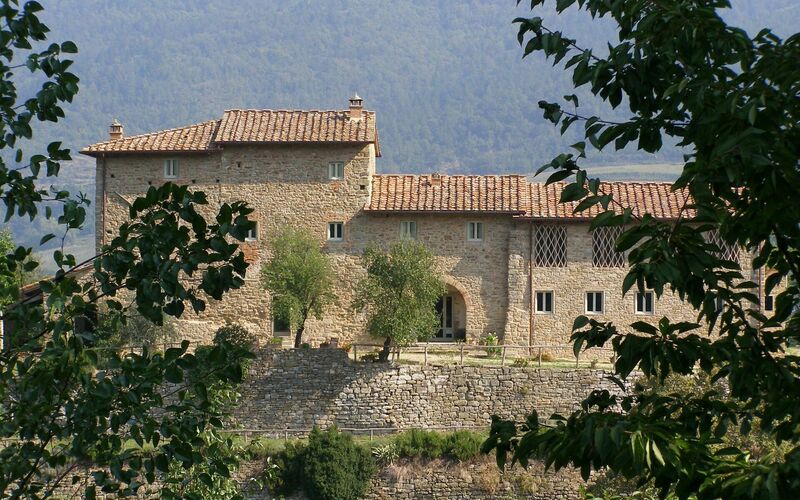 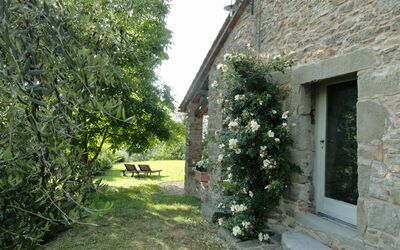 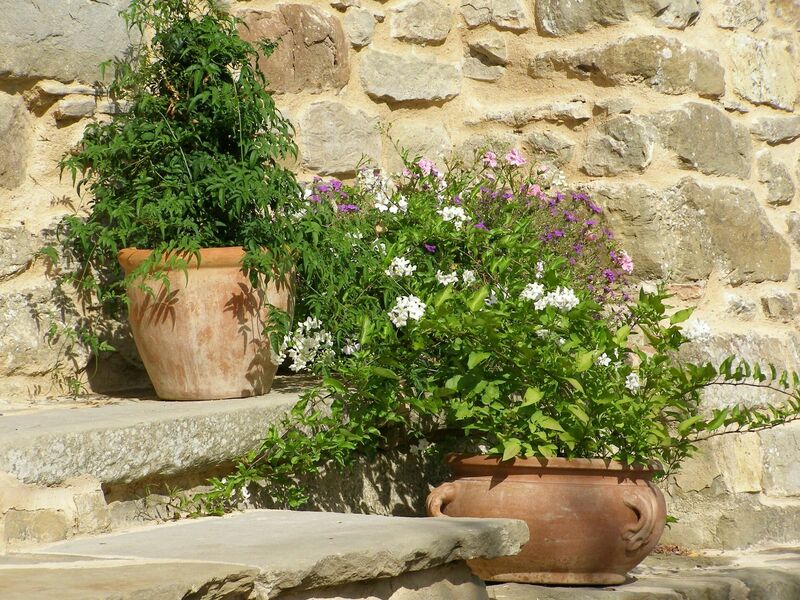 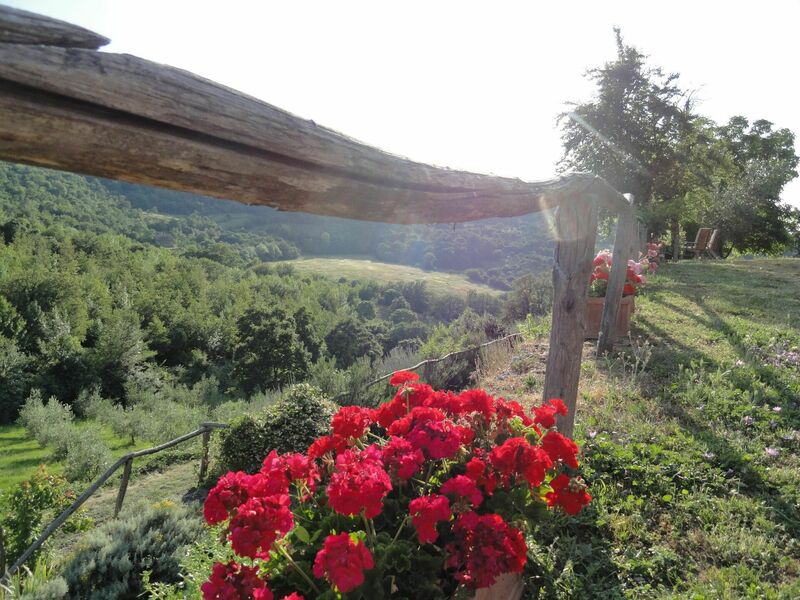 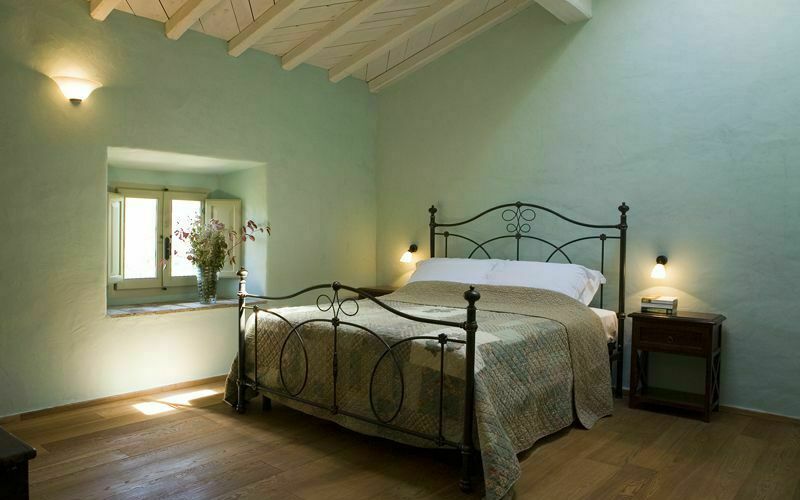 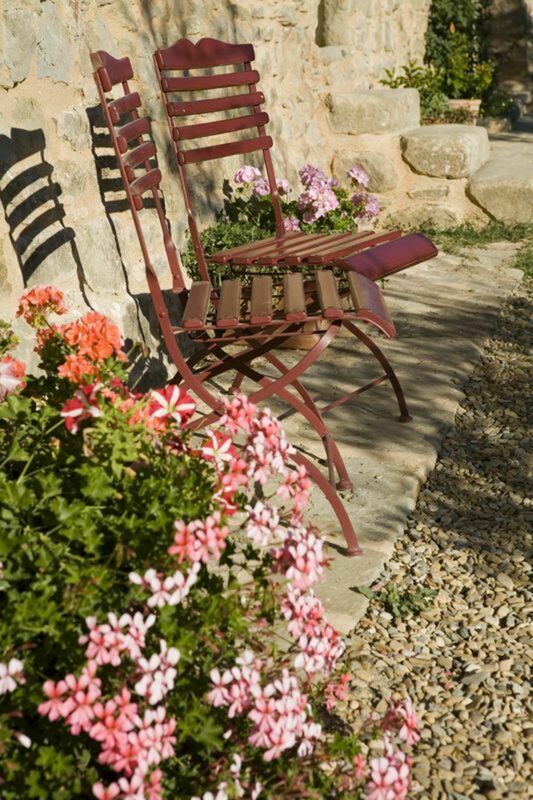 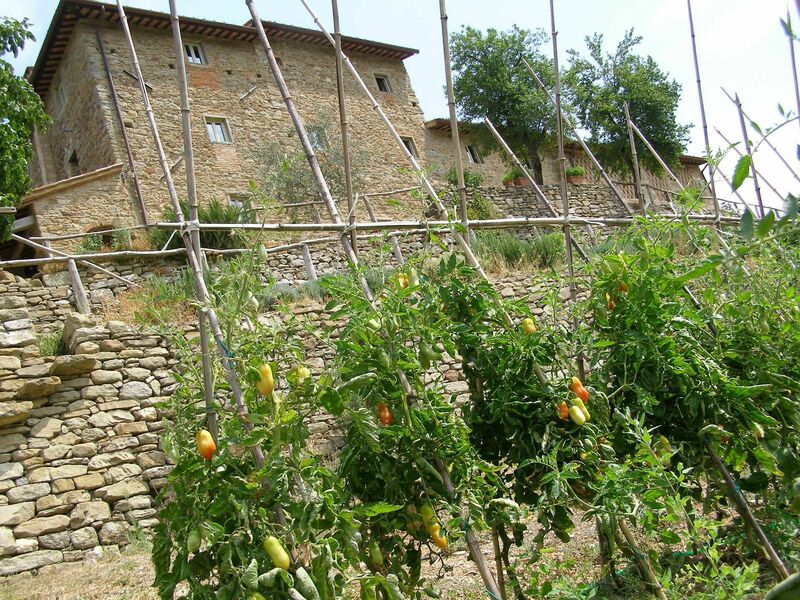 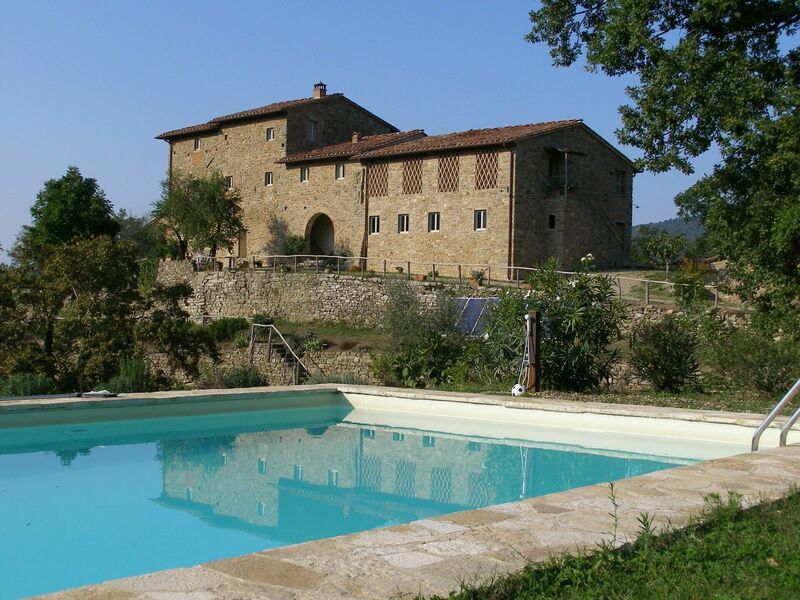 After lazy days relaxing by the pool or in the secluded gardens, take time out to explore the surrounding countryside, on foot or for the more adventurous on horseback or mountain bike, discover our small stream or just breathe in those wonderful scents and views, every angle offering a different aspect of this much loved corner of Tuscany. 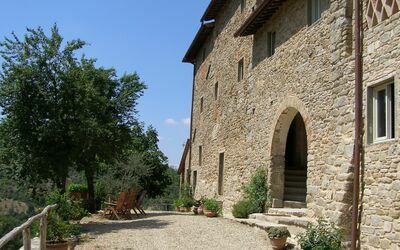 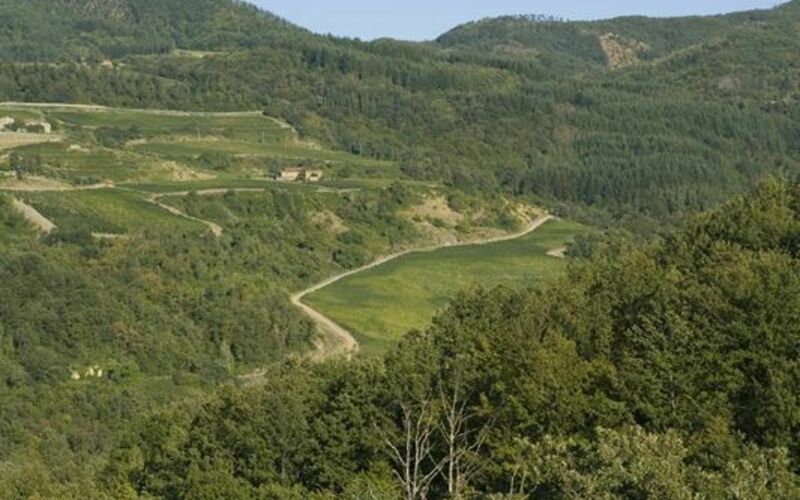 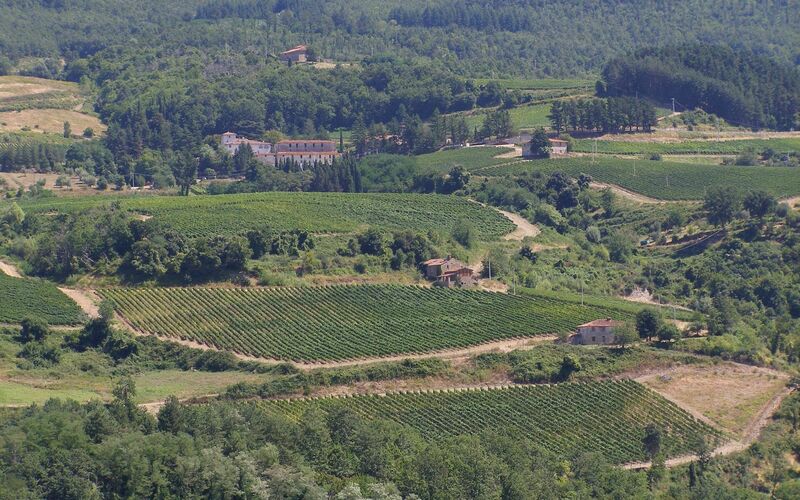 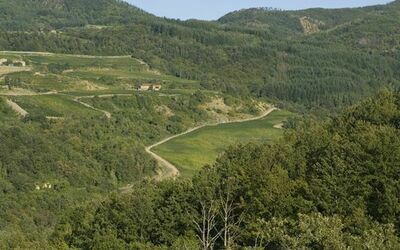 The unique setting overlooking the most picturesque stretch of the Pomino and Rufina wine route is a splendid area for nature lovers, walkers and historians alike and for those in search of culture the beautiful Medieval cities of Siena, San Gimignano, Pisa, Lucca and Arezzo are within easy reach. 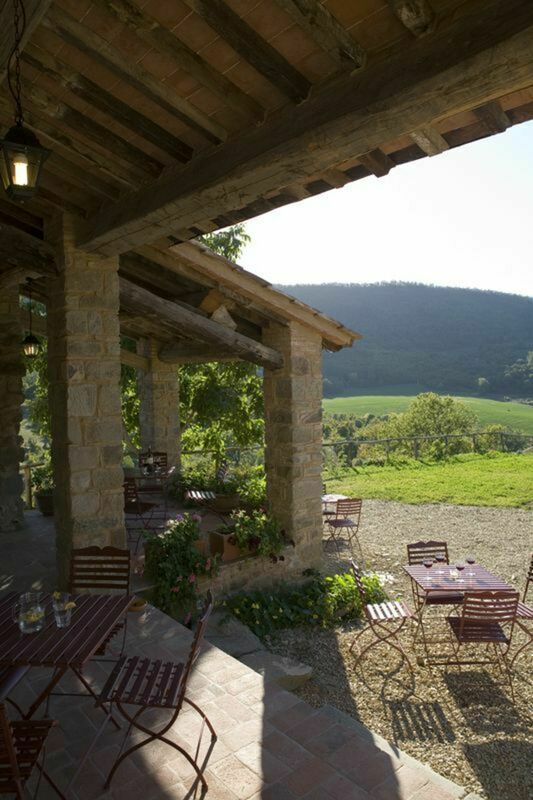 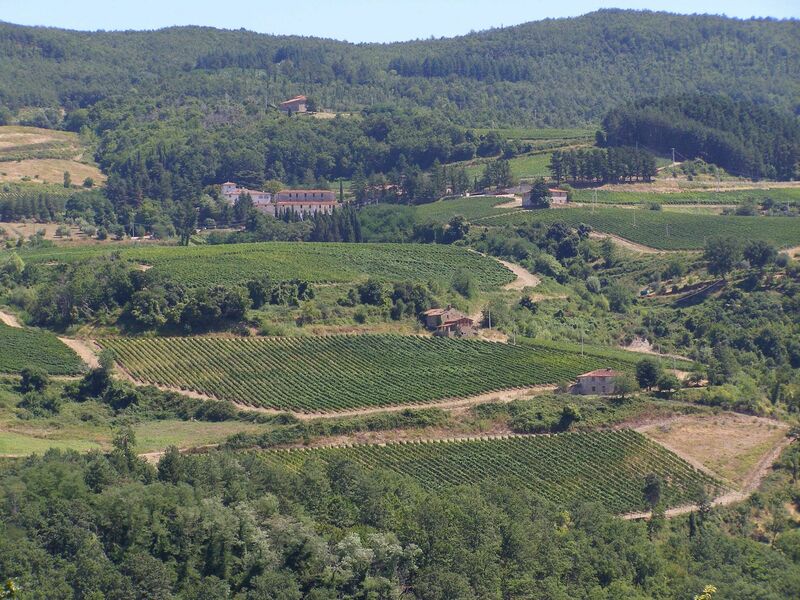 We can organise special itineraries for those interested in wine-tasting, art courses, photography, cookery or mind and body workshops or if you would like to celebrate a special event like an intimate wedding or special anniversary, we would be only too happy to take care of the arrangements. Pool 13 x 6 depth 1.4 metres with umbrellas, sunbeds and deckchairs. 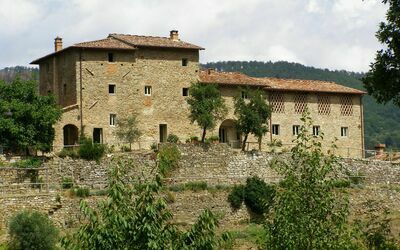 Quaint Medieval villages of Pelago, Poppi & Stia. Designer shopping at "The Mall" in Leccio. 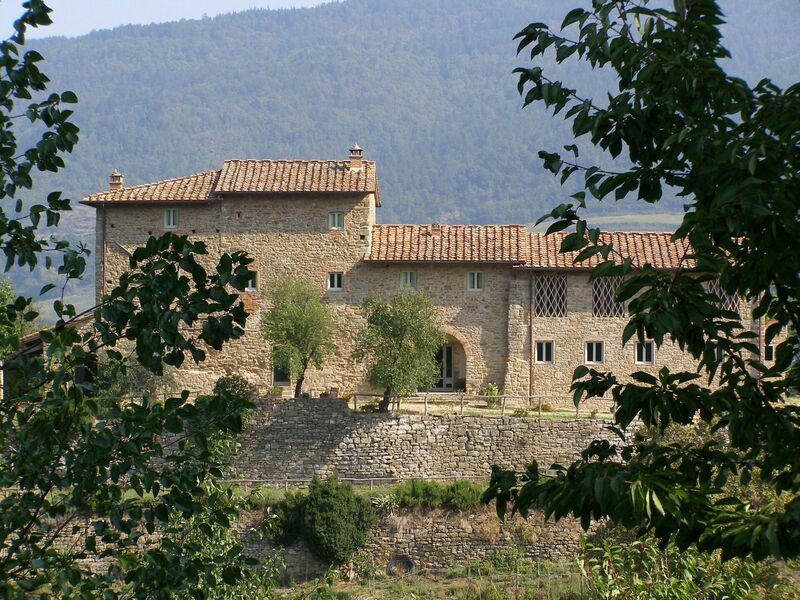 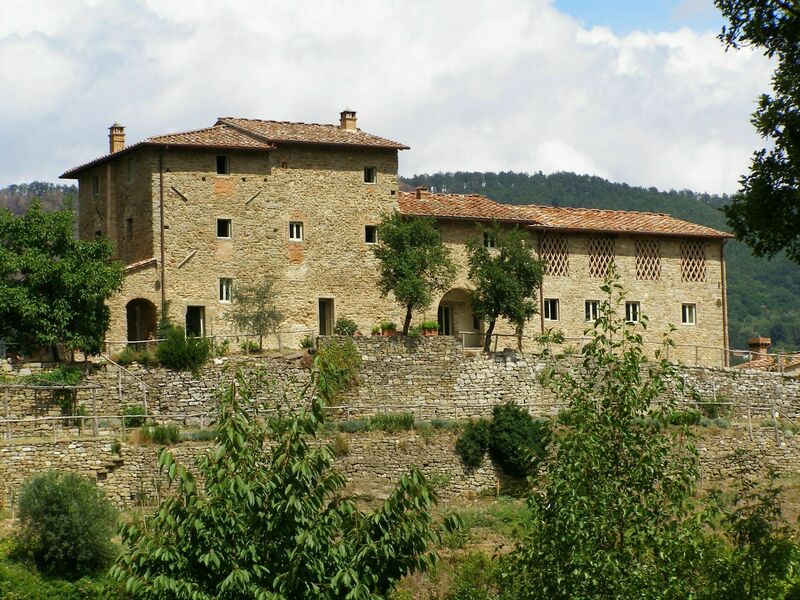 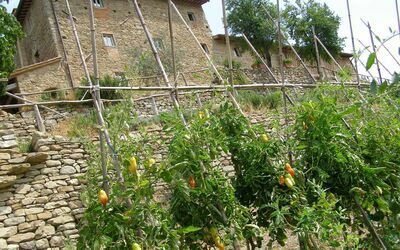 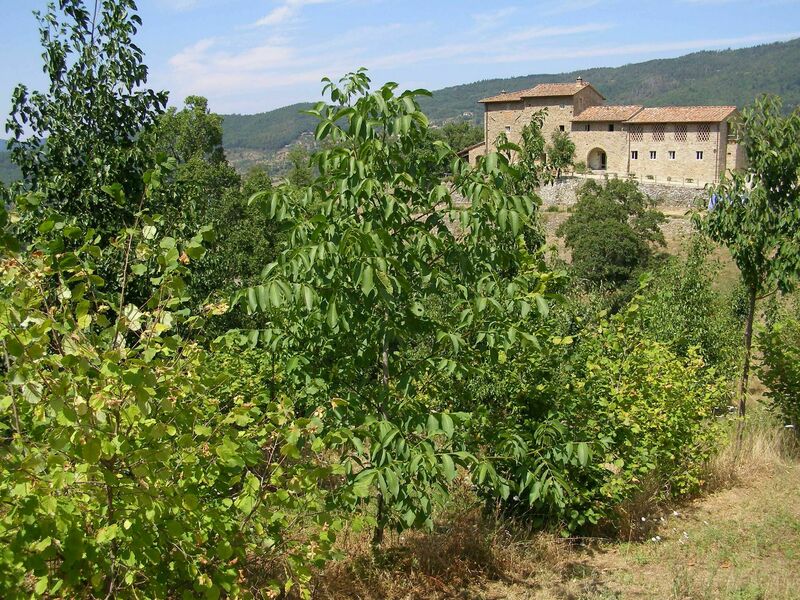 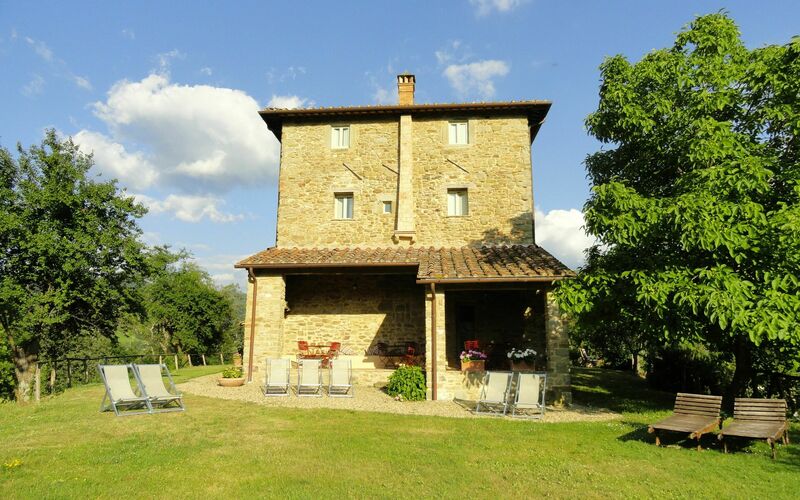 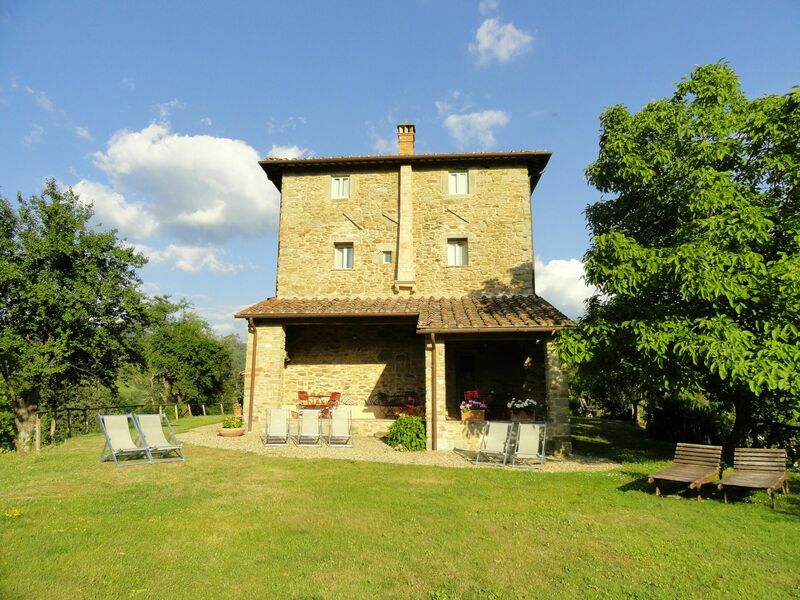 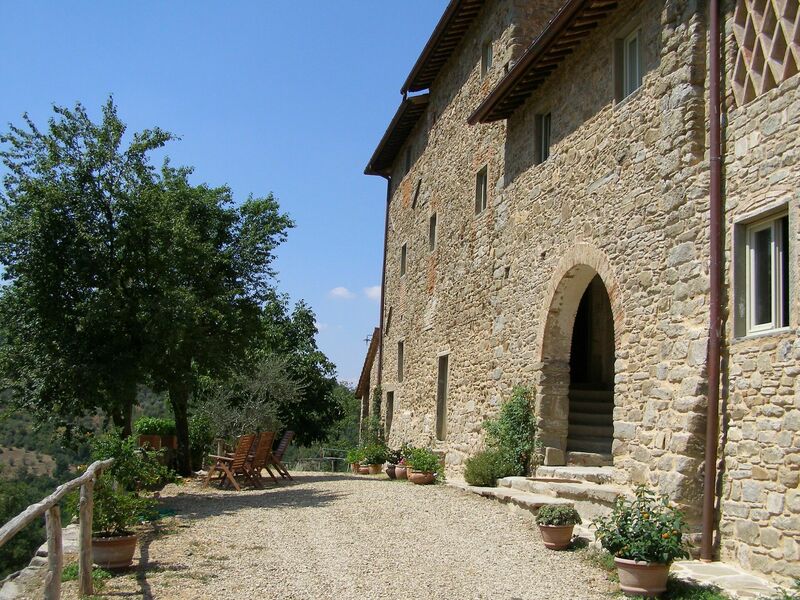 The cultural cities of Siena, San Gimignano, Pisa, Lucca and Arezzo are within easy reach.